1.) After opening the application, go to File > Open or simply Press Ctrl + O. 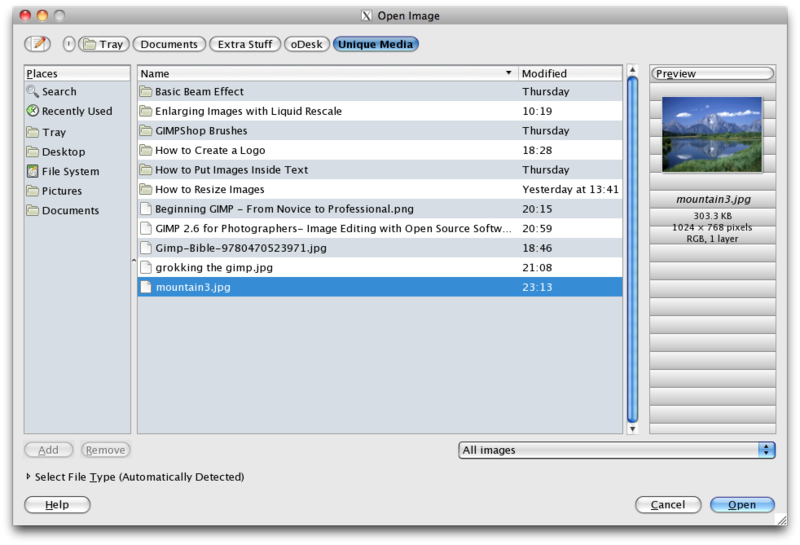 Afterwards, locate the file you want to use in your computer’s directory. The image you selected will appear on the canvas. 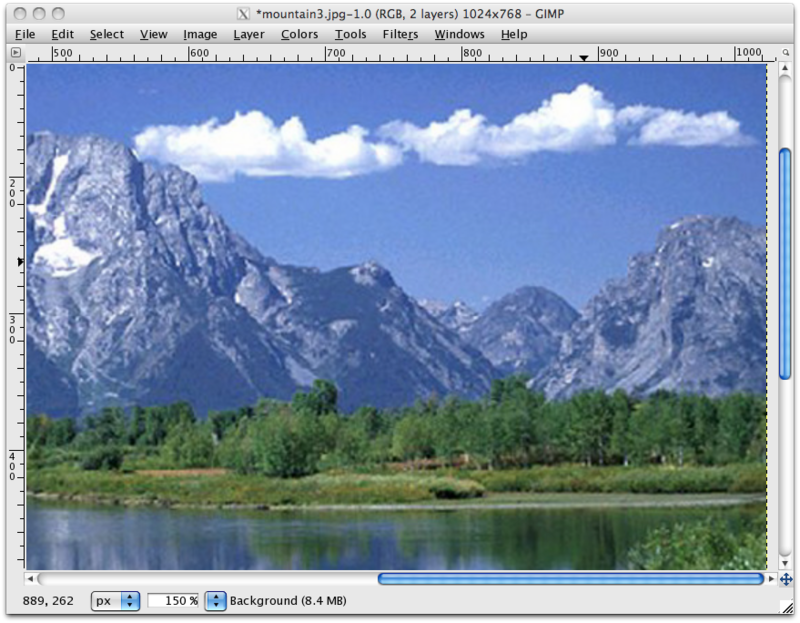 For this tutorial, I used a picture of a mountain. You can download the same picture through this link. 2.) 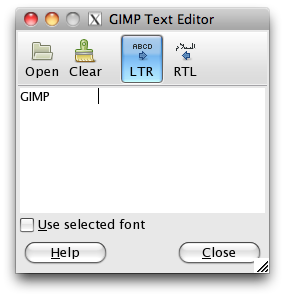 Next, select the Text Tool in the Toolbox or simply Press T.
Click anywhere on the canvas and the Text Editor Dialog Box will open. Type in the word you want to appear. You’ll notice that there’s now text on your canvas. 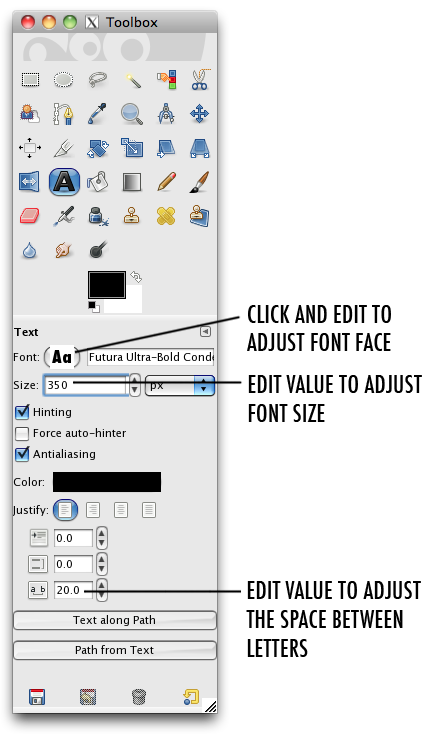 If your text is too small, go to the Tool Options and edit the font size. You may also edit the font face and the spacing between the letters if you want. The adjustments will reflect on the canvas. 3.) 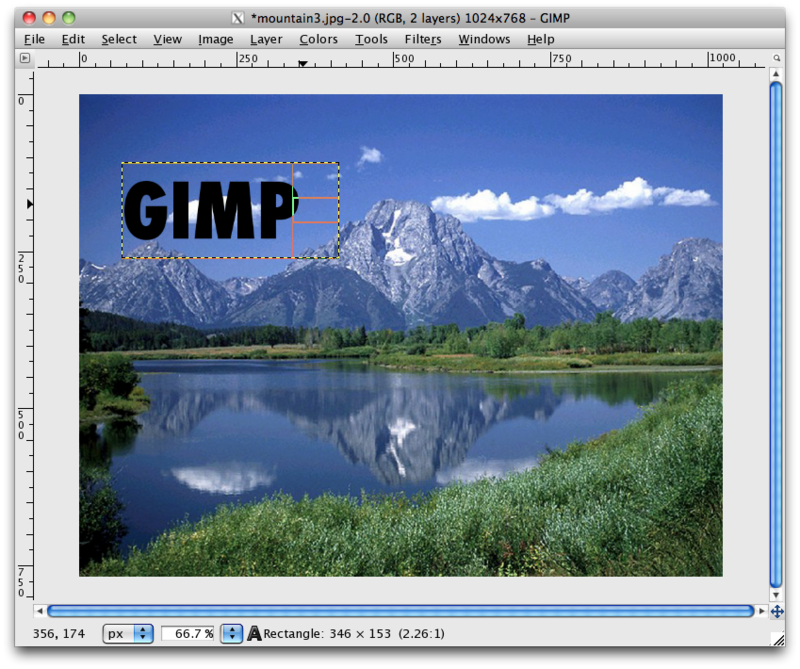 To adjust the text placement, click the Move Tool in the Toolbox or simply Press M.
Next, click on the text and drag it to its new position. 4.) 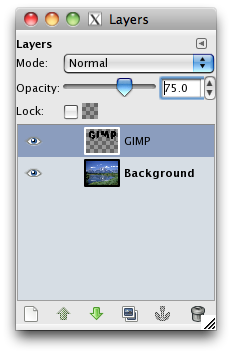 When you’re happy with the position, hide the Text Layer by clicking the eye icon beside it in the Layer Dialog Box. 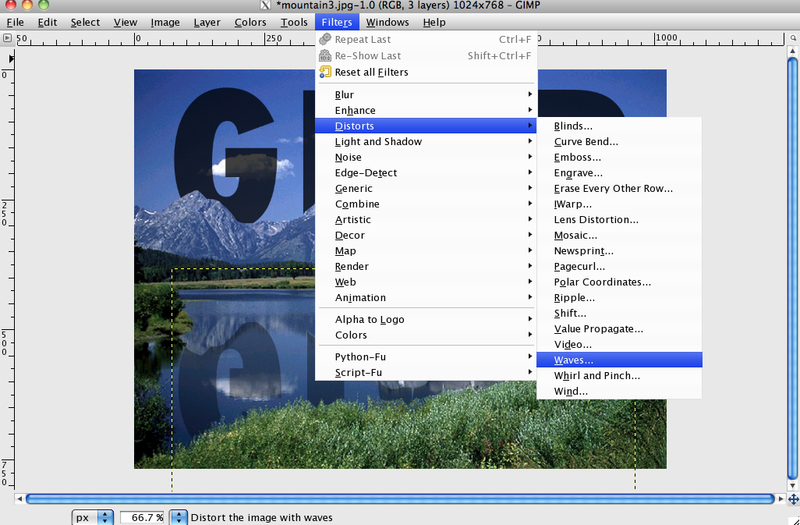 You’ll notice that the text will have disappeared on your canvas. 5.) Click the Path Tool in the Toolbox or Press B. 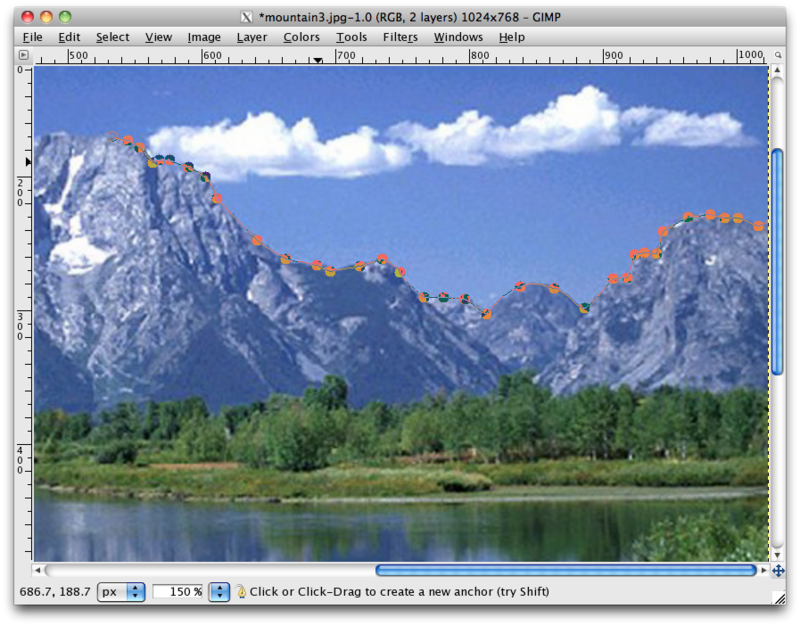 Next, trace the shape of the mountain using the Path tool. 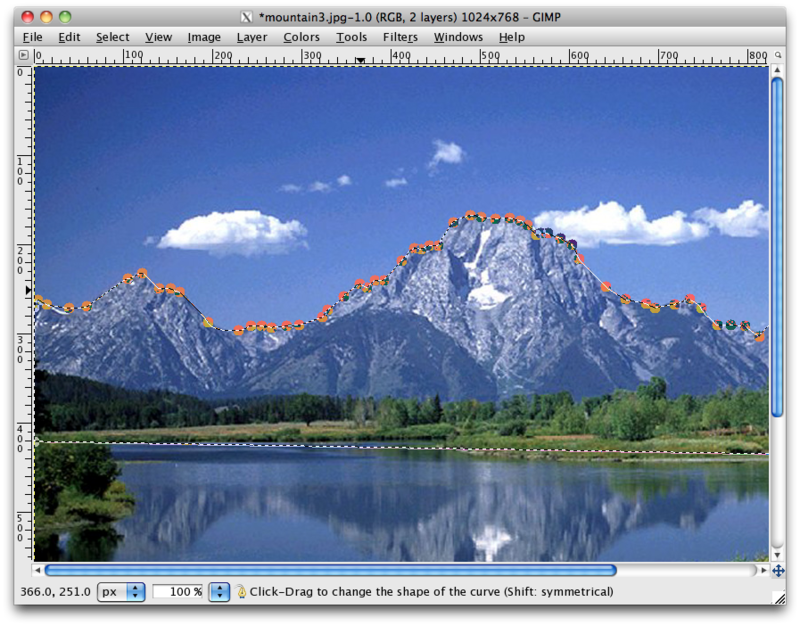 You can click and drag to make the path curve. To make it easier, click the Zoom Tool in the Toolbox or Press Z. Make sure the options is set to Zoom In. Afterwards, click anywhere on the canvas to Zoom In on that part of the image. 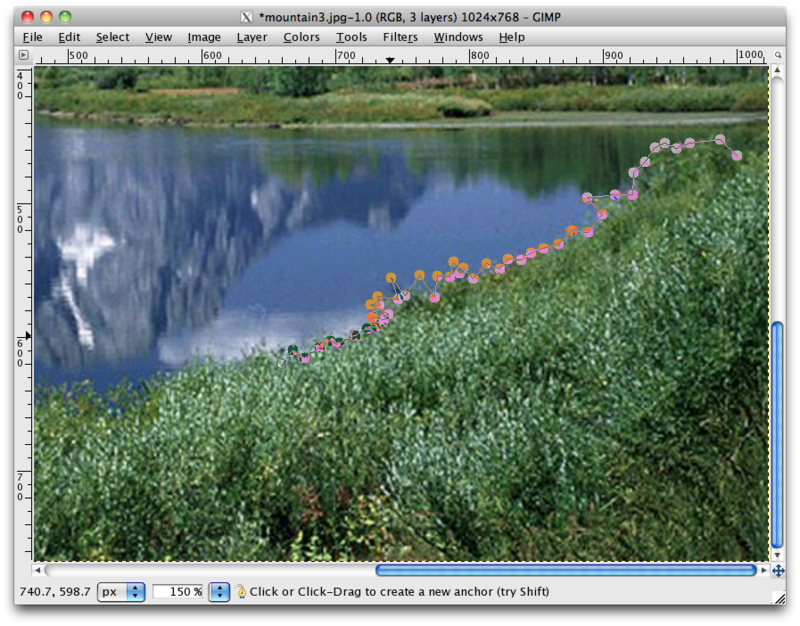 Then start tracing the mountains with the Path Tool. 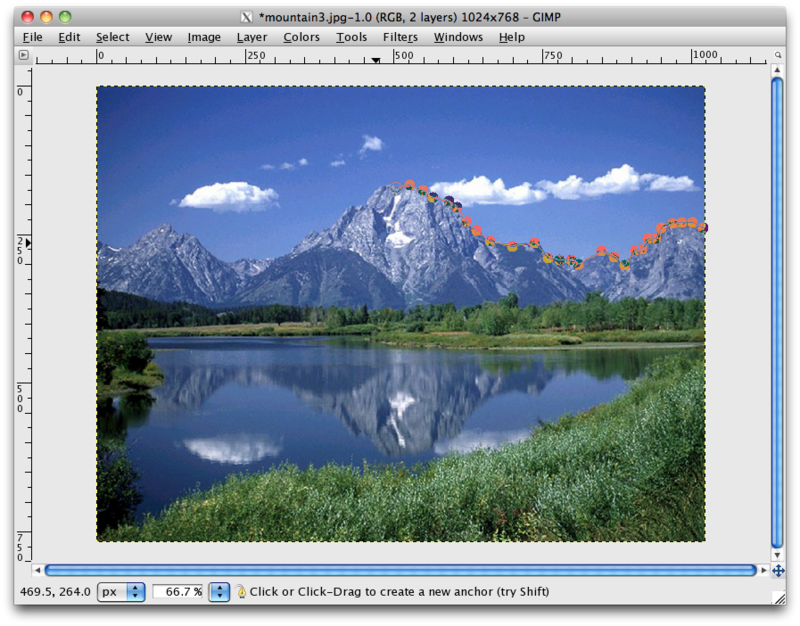 Click to create pointed edges while click and drag to make the path curve. When you’ve finished tracing, Zoom Out of the canvas. 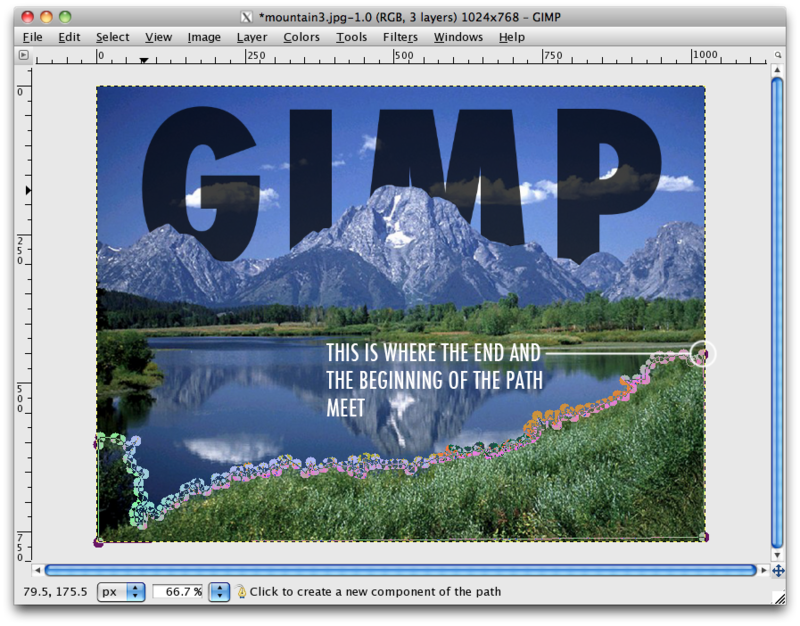 Go to View > Zoom > Fit Image to Window or Press Shift + Ctrl + E.
Make sure to close the path. You can do this by adding more anchor points (those translucent circles on your path) and extending the end of the line until it reaches the start. 6.) Once you’ve closed the path, Right Click > Select > From Path or Press Shift + V.
You’ll notice that an animated dashed line will outline your path. 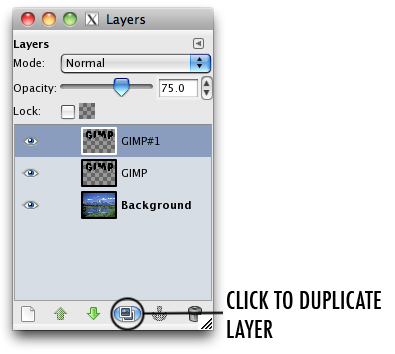 Go to your Layer Dialog Box. 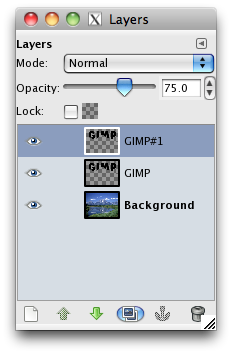 Click the Text Layer and unhide it by clicking the area where the eye icon used to be. The text will appear once again on your canvas. Afterwards, Right Click > Edit > Cut or Press Ctrl + X. The parts of the text that had overlapped with the animated dashed outline will have disappeared. Click Select > None or Press Shift + Ctrl + A to get rid of the animated dashed line. 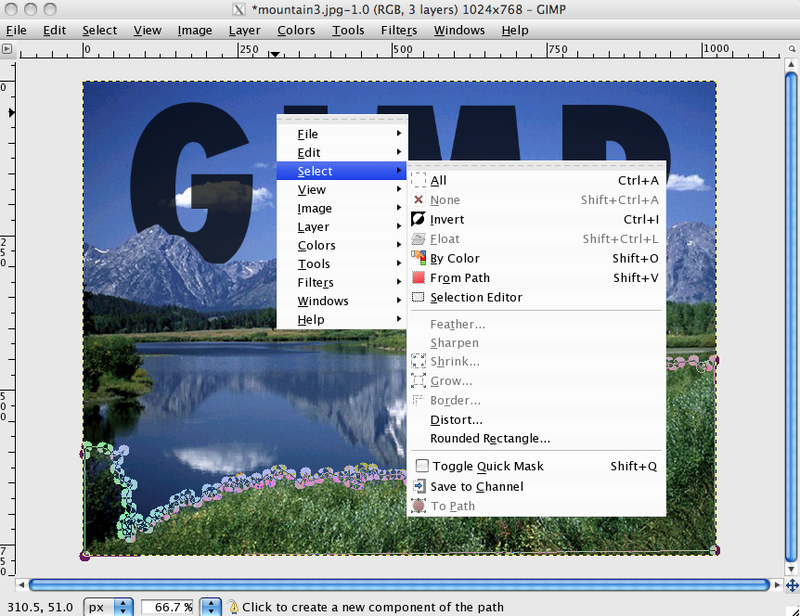 Afterwards, Press M (or click any other tool) to get rid of the path. You can now clearly view the text that looks like it’s behind the mountain. 7.) 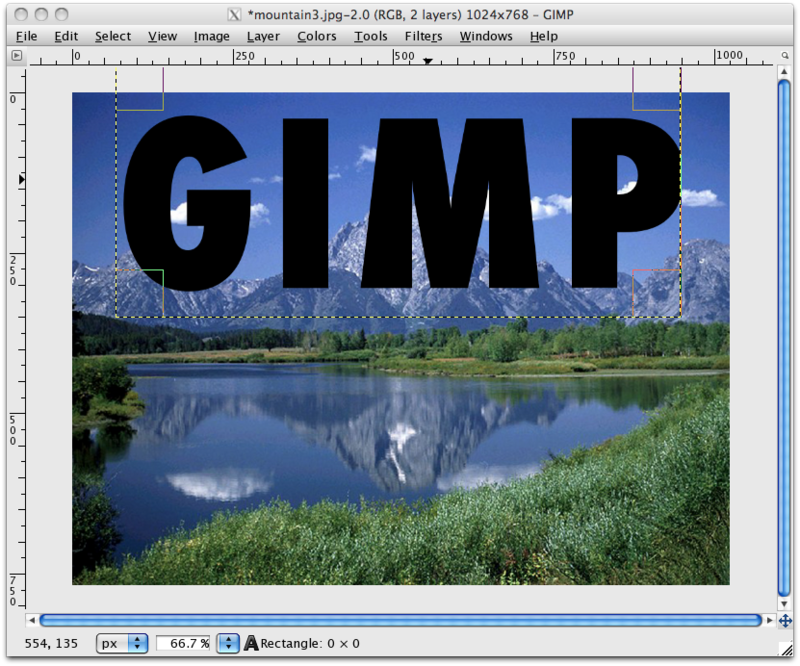 To make the text look more like it’s blending in with the background, go to the Layer Dialog Box and adjust the opacity of the text layer. 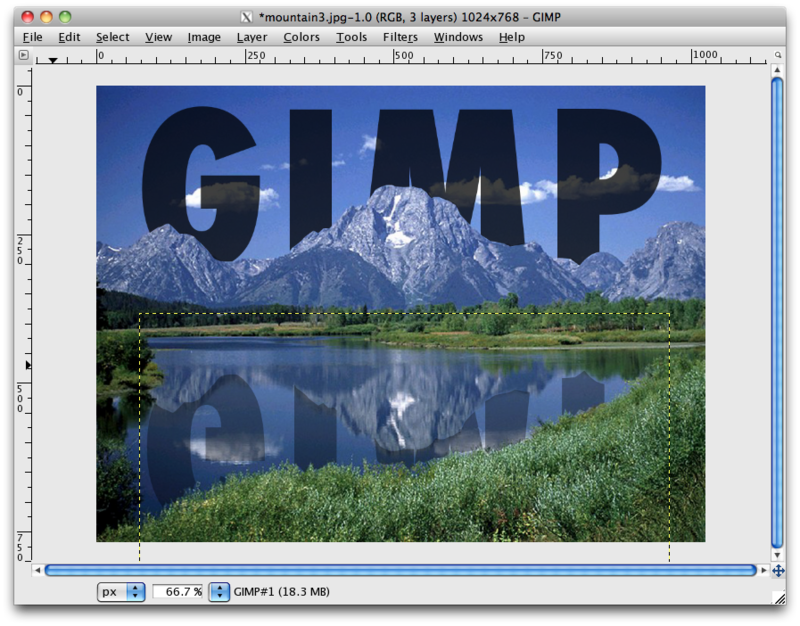 For this tutorial, I turned the opacity down to 75%. 8.) 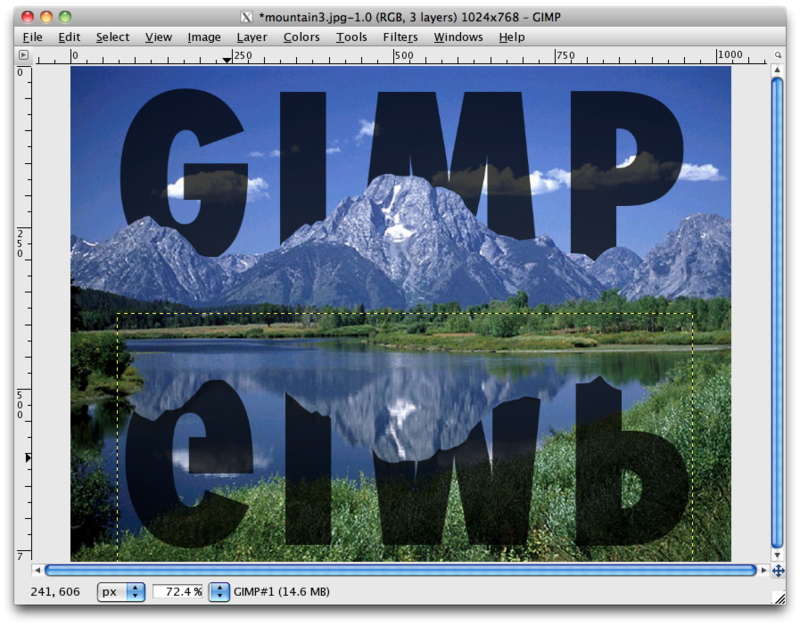 If you want the text have a reflection on the water as well, duplicate the text layer. 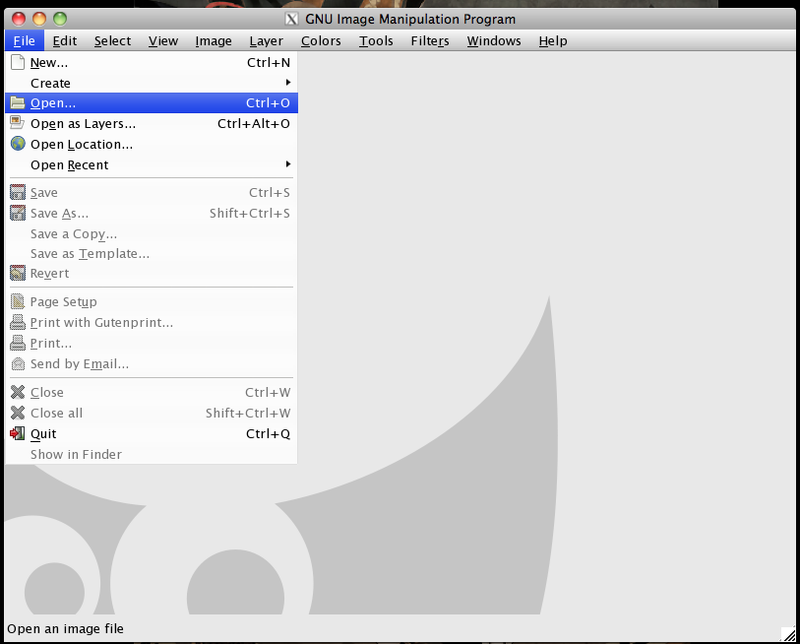 Click the Flip Tool in the Toolbox or Press Shft + F. Afterwards, in the tool options, set the flip type to Vertical. 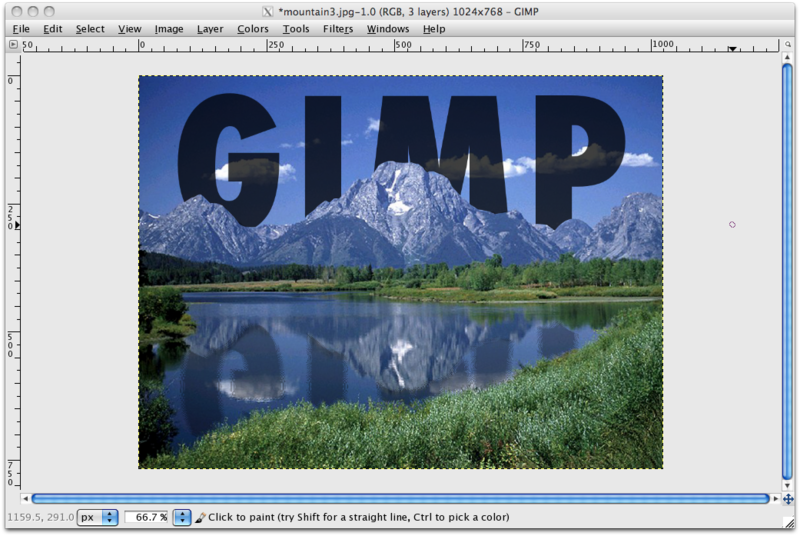 Go back to the canvas and click and drag the text downwards. The text will then flip vertically. 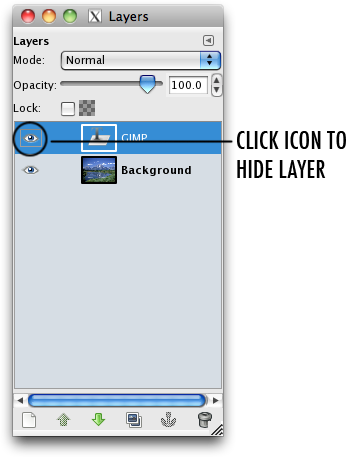 Click the Move Tool in the Toolbox or Press M. Click and drag the text to its position in the water’s reflection. Make sure it corresponds to its counterpart that’s behind the mountains. 9.) You’ll notice that the reflection overlaps with the grass in the foreground. 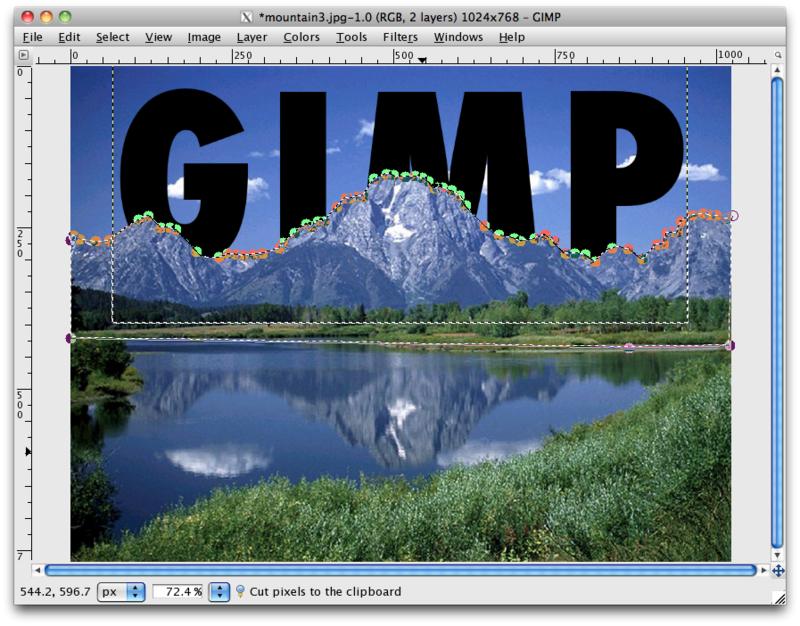 To fix this, follow the same procedures as how you edited the text behind the mountain. 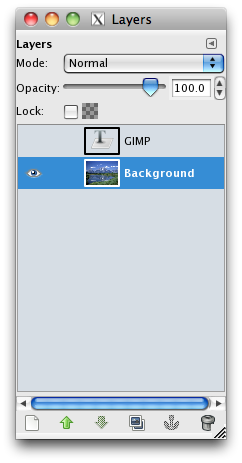 First, hide the inverted text layer in the Layer Dialog Box by clicking the eye icon. 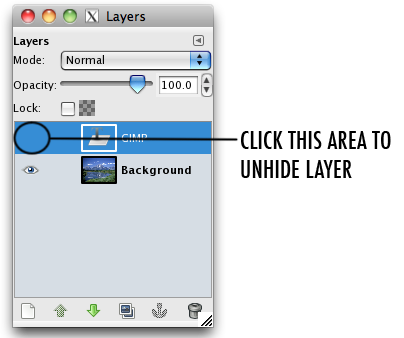 Click the Background layer to make it your active layer. 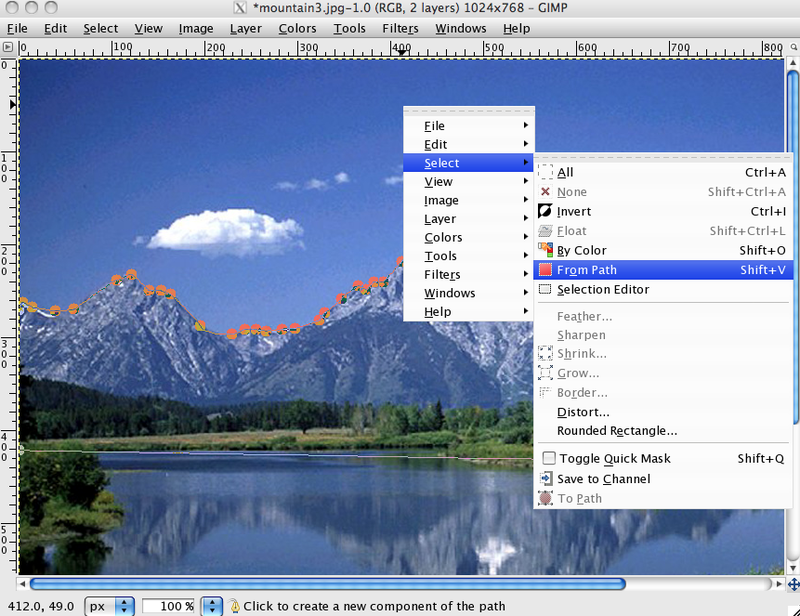 Select the Path Tool in the Toolbox or Press B. Trace the grass outline. 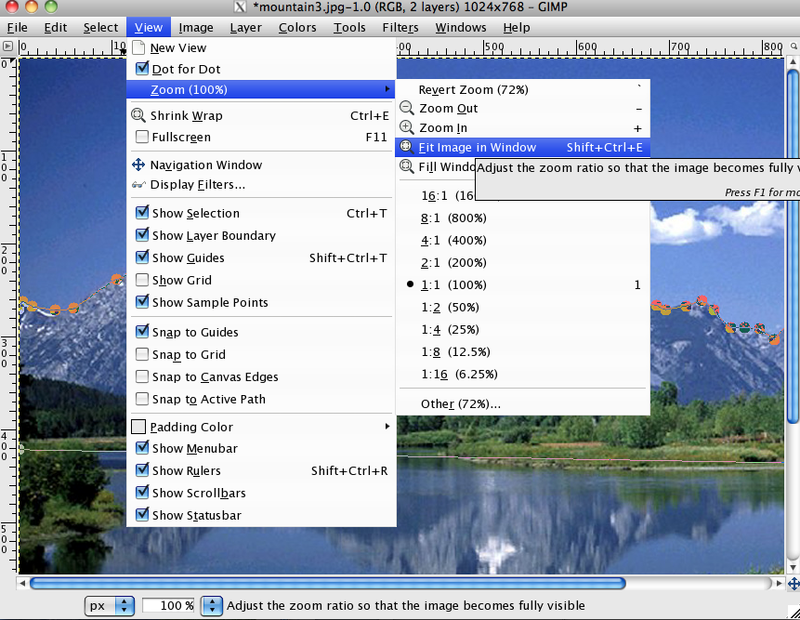 You may use the Zoom Tool to Zoom In like before. 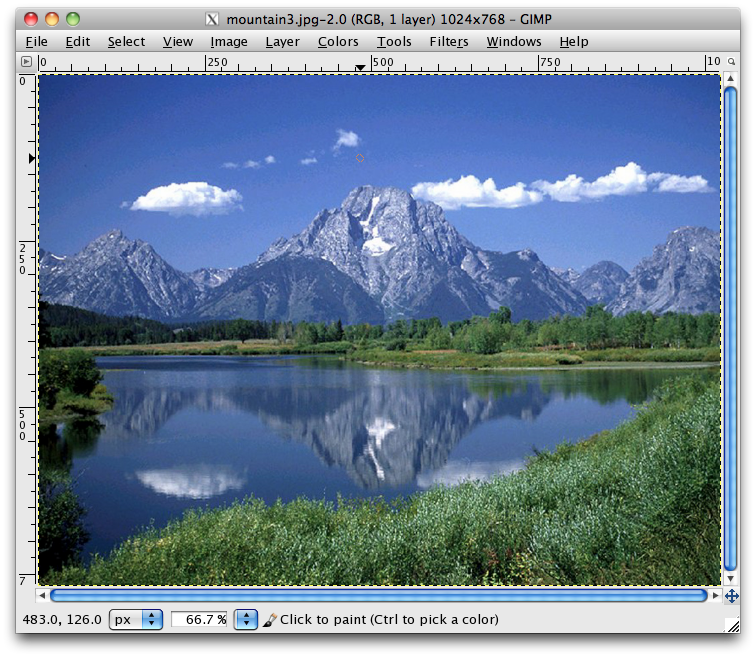 Click View > Zoom > Fit Image in Window to zoom out the image. 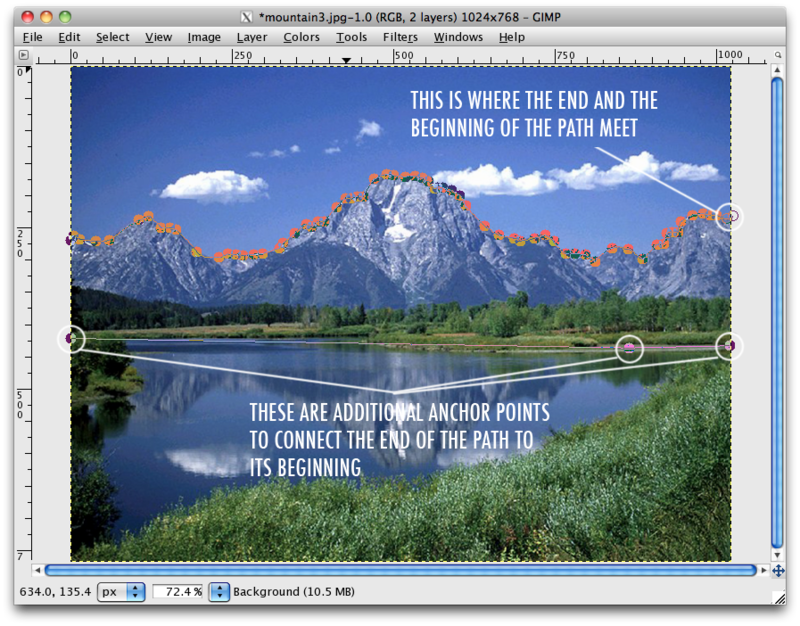 Make sure you close the path by extending the end to the beginning anchor point. Right Click > Select > From Path or Press Shft + V. An animated dashed line will outline your path. 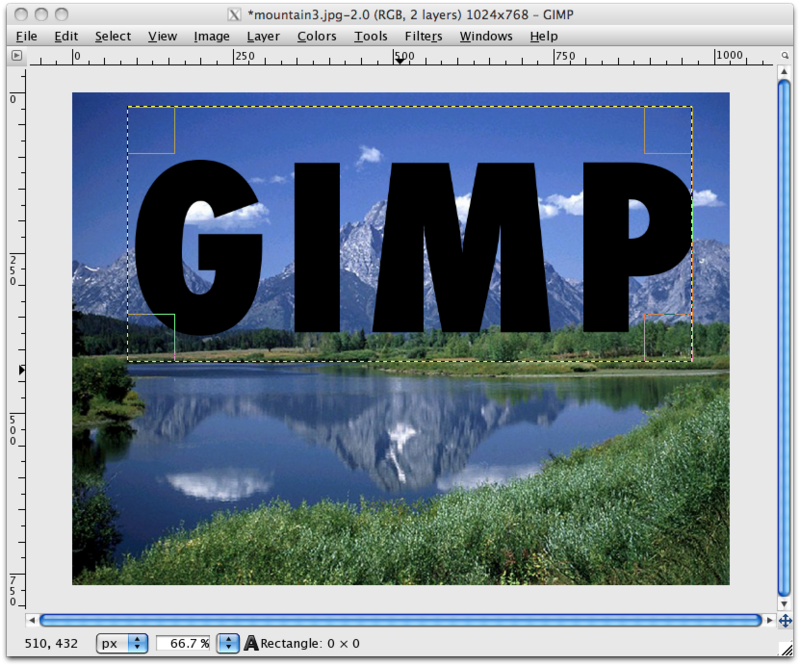 The parts of the text that overlap with the outline will have disappearead. Click Select > None or Press Shft + Ctrl + A. 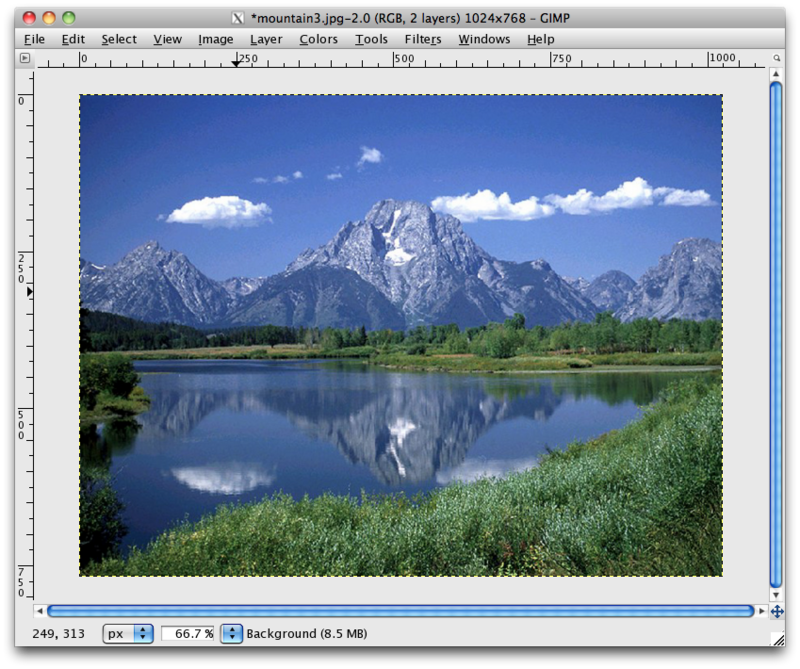 Afterwards, go back to your inverted text layer in the Layer Dialog Box and lower the opacity. I used only 35% for this tutorial. You’ll notice that the reflection looks more natural now. 10.) 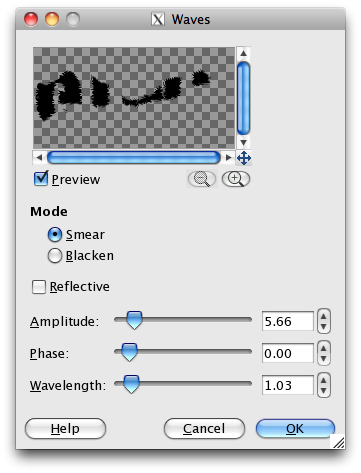 To create a ripple effect for the reflection, Click Filters > Distort > Waves. A pop up box will open. Make sure you set the Mode to Smear. Keep everything to low settings to make the ripple subtle and more natural. Afterwards, Click OK. 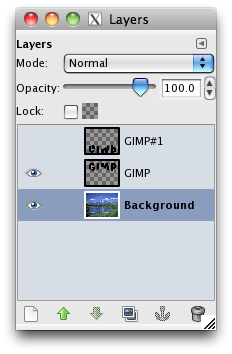 Afterwards, select the Background layer in the Layer Dialog Box and you can clearly view the end result. Congratulations! 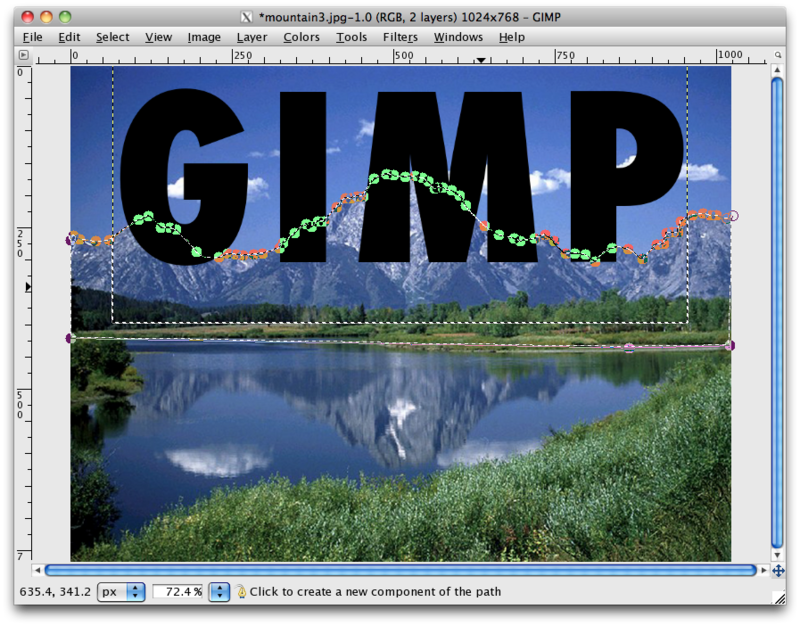 You’ve just learned how to add text behind a picture. 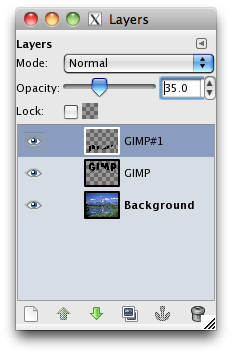 You’ve also gained a bit of know-how on how to use the Path and Flip Tools as well as one of Gimpshop’s various filters. 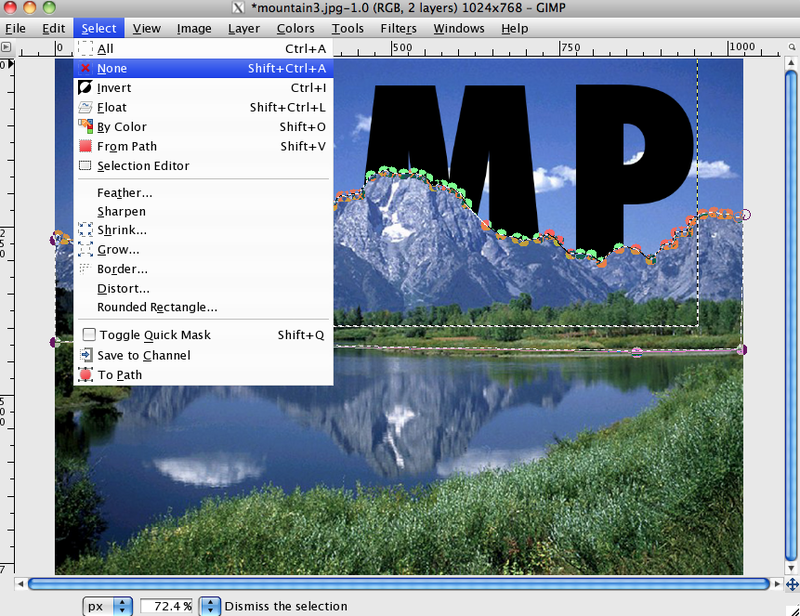 Check out more tutorials on the site to master the various tools and features that this powerful freeware has to offer.